For big or small. 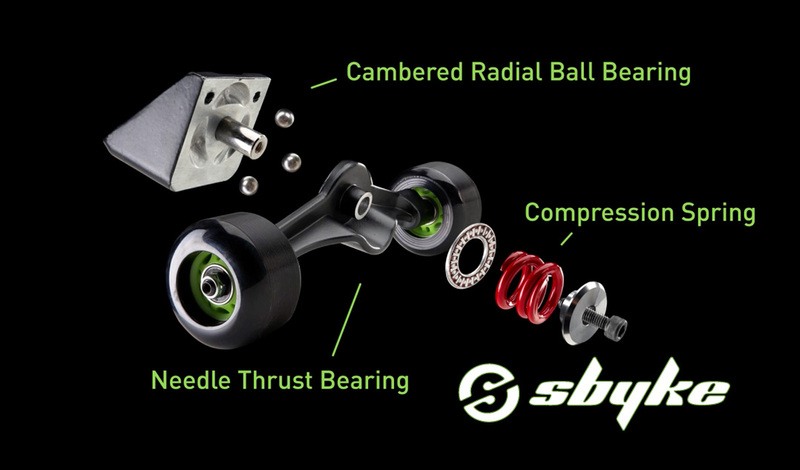 Sbyke covers a wide range of riders. 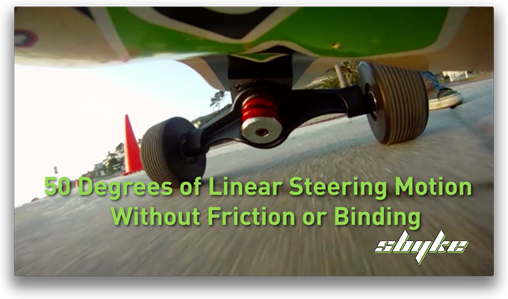 Designed to give you total control in maneuverability. 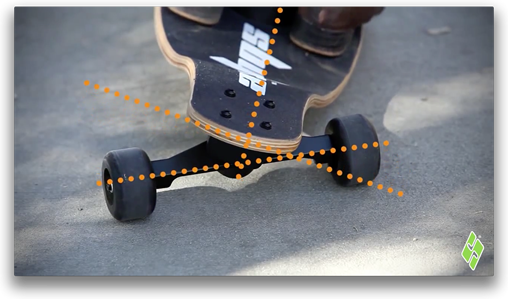 Combining the best features of a Skateboard and Bicycle. 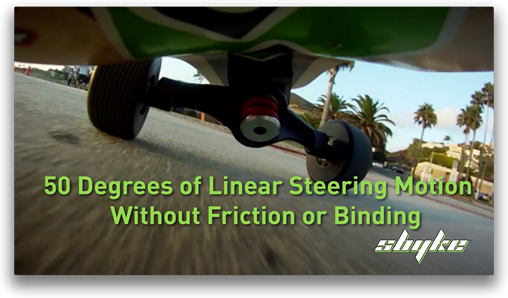 The safety of the large front wheel provides a smooth ride with the amazing maneuverability of our patented skateboard truck. This is what sets us apart and is the reason you can weave in and out of scaffolding or pull off killer tricks on the half pipe so easily. 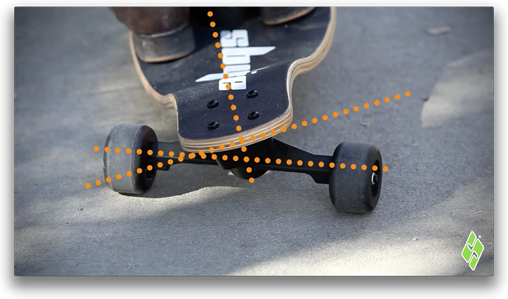 As you lean left or right on the gripped out maple deck, the rear wheels will adjust their position to cause you to turn in the direction of your lean. 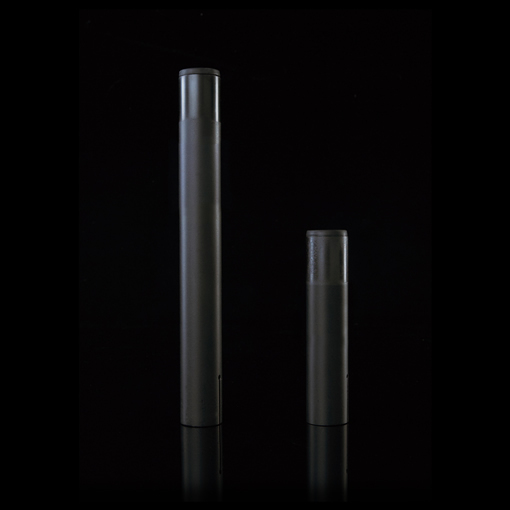 The adjustable spring sets the tension and the cambered radial ball bearings allow for the smooth movement of up to 50 degrees left or right. Simply lean left or right on the gripped out maple deck and the Sbyke rearstear™ system will provide you with smooth fluid handling. Tune your Sbyke to fit you. Simply use the supplied tools to adjust the trucks tension. Turning the allen wrench clockwise will tighten and turning the allen wrench counterclockwise will loosen the tension on the spring. All Sbykes come with ridiculous frames. Whether you want the ultimate Matte Black 6106 T6 Aircraft Aluminum Frame on the P20 or the still awesome Matte Black Steel Frames on the A20 or P16, you are going to be getting one seriously engineered piece of kit. These frames are designed to be light weight, strong, and durable over the long haul. So go hit those tricks like you mean it! 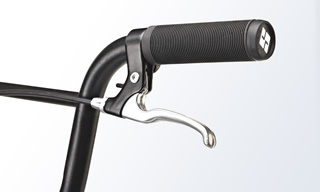 You can swap out the 9 inch and the 5 inch stems to adjust the handlebar height for different riders! 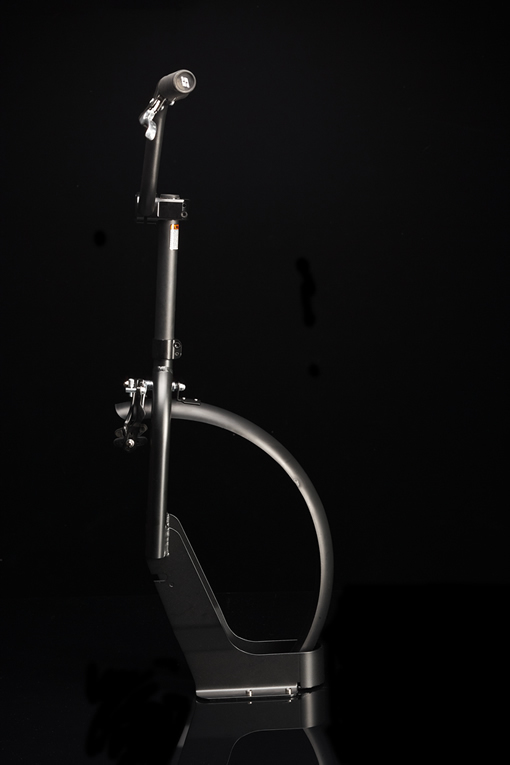 Custom 6106 T6 Aircraft Aluminum Frame for the Sbyke P20 shown here. Our custom crafted gripped out maple deck is designed to take a beating and look good doing it. Whether you have the P20 with the 10-ply, the A20 with the 9-ply, or the P16 with the 7-ply maple deck, all are custom built to each Sbykes’ specifications for the ultimate in performance. 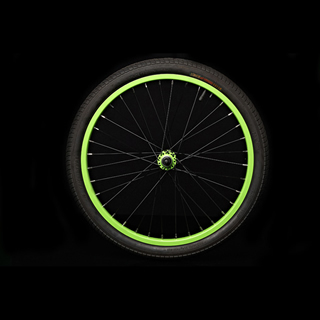 With it’s low rolling resistance and excellent performance, a solid 50psi front BMX wheel keeps you gliding smoothly over bumps and cracks, or for the more adventurous while doing nose whips and manuals. 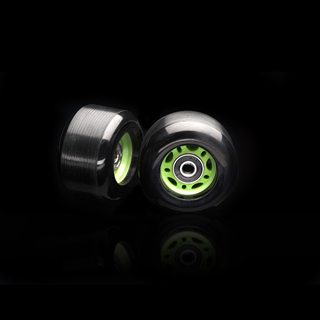 70 mm x 78 A durometer truck wheels with radial tread will more than keep up with every trick performed on the half pipe and every bump in the city sidewalk. Versatile, standard, and easy to swap out with other colors etc. Designed to give you total control in maneuverability. 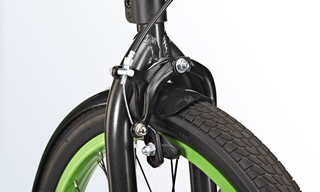 This simple action hand brake connects to your large front BMX wheel from your handlebars and provides you with much greater control than your typical scooter.